Cystic fibrosis can also be called mucoviscidosis and is a condition that affects the lung and digestive system. Due to the thick secretions produced, simple tasks like breaking and eating become very difficult for cystic fibrosis sufferers. Our physiotherapists are specialised respiratory treatment and chest physiotherapy in children and babies, greatly increasing their quality of life. At Excellence Physiotherapy London our paediatric physiotherapists have many years of experience working with babies and young children and providing treatment that is gentle, safe and effective. Treating cystic fibrosis with specialised respiratory treatments and chest physiotherapy can allow your child a much better quality of life, increased mobility and independence. Having specialised in their chosen areas, each physiotherapist has full knowledge of the latest techniques that are available to make sure that your child receives the very best care possible. Excellence Physiotherapy London offers a new model of chest physiotherapy, unique to the UK and tailored for patients with cystic fibrosis. The technique will bring a new quality of life to patients by using the most modern and efficient exercises possible. Old forms of chest physiotherapy would use exercises such as clapping or percussion, which can actually be constraining and unpleasant for patients with cystic fibrosis, especially when it has to be repeated daily. Based on almost 20 years of research from MRI scans, new models of chest physiotherapy performed by physiotherapists from BabyPhysio London are based on slow expiration and is proved to be more efficient, gentler and less constraining while still effectively clearing the lungs. The technique can be performed passively, or with the help of the patient, and sessions are much shorter with greater effects, meaning your child won’t feel as exhausted. New chest physiotherapy also incorporates imitation and games, meaning your child can have fun whilst increasing their quality of life. What is Cystic Fibrosis and How Does it Occur in Children and Babies? Cystic fibrosis can be inherited if both parents are carriers of the faulty gene found in chromosome 7 that controls the salt moving in the body. The abnormal transport of chloride and sodium allows too much salt and water into cells and results in thick and sticky mucus in tubes and airways, and cells that line the airways of the lungs make mucus that is much thicker than normal. This can clog the lungs, resulting in inflammation and eventually pneumonia. Cystic fibrosis can also affect the pancreas, liver and intestines, making it difficult for the body to absorb nutrients properly. How to Detect Cystic Fibrosis in Children and Babies? In babies, early symptoms often appear in the form of meconium ileus, a bowel obstruction, or an inability to grow in weight or height. 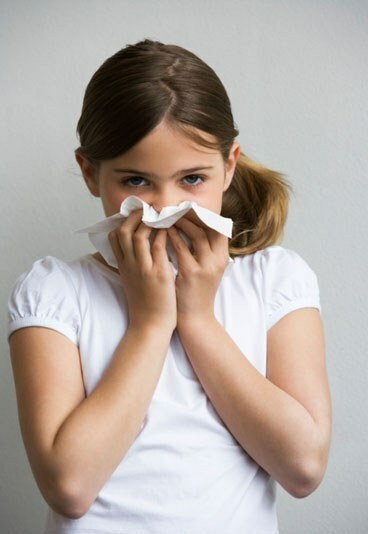 As children grow older, symptoms can vary from a persistent cough, to repeated chest infections, however as these symptoms can be very common in children, careful screening is necessary. All newborn babies should be screened at birth for cystic fibrosis, however if any of the above symptoms should persist, it is important to get tested, especially if any of your relatives is a carrier.